THE GIRL-CHILD LITERACY PROJECT 2019!!! Sequel to my pledge made, I am excited to inform you about the status of the purchase of the items (School Bags, Sandals, Exercise Books and Sanitary Pads). Due to certain unforeseen circumstances and the adjustment in the Academic Calendar of schools in Nigeria, Second Terminal Examinations will commence in a few states on Monday, 25th of March. Following this new development, we have decided to reschedule the project for Saturday, 23rd of March, 2019 by 9:00am. We received the credit alert of $2000 on 12th Tuesday, 2019. Thank you the Wish Wall Foundation. Prior to the receipt of the funds, we embarked on the collation of sizes of sandals for the School Girls. 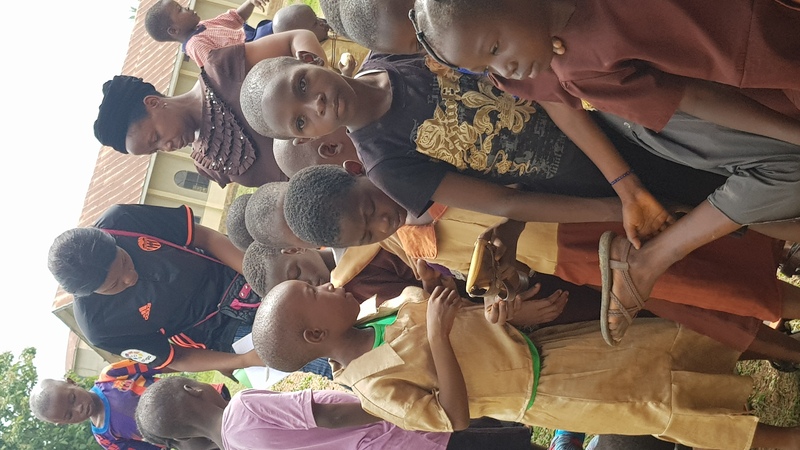 In other to ensure that we make an even distribution of the items, we selected students from the Five (5) Elementary and Primary schools at Ifetedo community, Ife South Local Government Area, Osun State, Nigeria. On 15th, Thursday 2019, we went to the market to purchase the sandals for 100 Girl-Child. With respect to the purchase of the school bags, we considered empowering the immediate community who are the beneficiaries of these resources by contracting the production of the school bags to Mrs. Afolabi- a Sole Proprietor skilled in the business of sewing bags. In our continuous interaction with her, she also said in her local dialect “I am shocked and moved to tears, this is like a dream, I have never thought of making such quantity of bags in my entire life, this is the biggest contract she has ever gotten in her Three (3) years of sewing, I will use part of this money to feed, and train my child in school. I am happy and I Thank the Wish Wall Foundation for this opportunity”.